A large number of students continue to choose a career based merely on the fact that their friends are doing the same thing or because their parents told them to do so. This, however, may not be the best way to go about it. 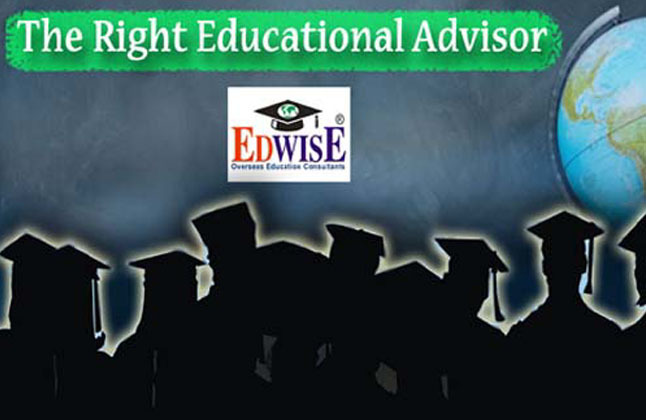 We at Edwise understand the dilemma of the students while choosing the pathways for higher education. To cater to such needs, Edwise has designed the Academic Pathway Planning Program. Academic pathway planning is the process of helping individuals know their strengths and weakness, their interests and their abilities in the world of work in order to reach a mature career decision. Aptitude: It is the ability to do well in a given field. Interest: It defines your likes and dislikes for certain kind of activities and the kind of work you would like to do. Personality: Our Personality is who we truly are, our character traits, qualities and shortcomings. Awareness of our personality helps us make a career choice. Right information in a structured way. It provides the student with the right information in a structured way, so that the student can use the information promptly, enabling them to choose the best career course. Open up Choices. APP will open up choices about which the student may not be aware of. Gives Confidence. APP gives confidence to the students while making a decision on their future career course. Helps understand personality. APP helps students to understand their individual personality that influence their academic decisions. Self improvement plan. APP is a self improvement plan for personal development and growth. "After my graduation, hundreds of emerging career options and different criteria's admission by different institutions came as a nightmare to me. But after the APP test from Edwise I got a clear view about my career goals. The test helped me decide to go for a designing course which best suited my personality. So after consultation with a counselor from Edwise I am applying for Post Graduate Diploma in Designing in UTS Insearch, Australia." "After passing my 10th grade, I found it extremely difficult deciding my future aspirations. The Academic Pathway Planning Program test proved to be an excellent 'guide' in leading me to the right direction. Using the information the test provide, I was able to choose subjects in the International Baccalaureate program. I would recommend the APP test for all those who are uncertain about their future interests." "I was in my last year of graduation and was confused between choosing MS in Computers or a MBA for my higher studies. Then I underwent the Academic Pathway Planning Program test and my results showed me that my aptitude and interest is more inclined towards MBA. So now I am applying for MBA in Northeastern University, USA. APP test really cleared all my confusion and showed me the right path."